Data and Culture go hand in hand - Eric D. Brown, D.Sc. A few weeks ago, I spent an afternoon talking to the CEO of a mid-sized services company. He’s interested in ‘big data’ and is interviewing consultants / companies to help his organization ‘take advantage of their data’. In preparation for this meeting, I had spent the previous weeks talking to various managers throughout the company to get a good sense of how the organization uses and embraces data. I wanted to see how well data and culture mixed at this company. Our conversation started out like they always do in these types of meetings. He started asking me about big data, how big data can help companies and what big data would mean to their organization. As I always do, I tried to provide a very direct and non-sales focused message to the CEO about the pros/cons of big data, data science and what it means to be a data-informed organization. This particular CEO stopped me when I started talking about being ‘data-informed’. He described his organization is being a ‘data-driven company!’ (the exclamation was implied in the forcefulness of his comment). He then spent the next 15 minutes describing his organization’s embracing of data. He described how they’ve been using data for years to make decisions and that he’d put his organization up against any other when it comes to being data-driven. He showed me sales literature that touts their data-driven culture and described how they were one of the first companies in their space to really use data to drive their business. “You say this is a data-driven organization…but the culture of this organization is not one that I would call data-driven at all. Every one of your managers tells me most decisions in the organization are made by ‘gut feel’. They tell me that data is everywhere and is used in making decisions but only after the decision has been made. Data is used to support a decision rather than informing the decisions. There’s a big difference between that and being a data-informed and a being a data-driven organization. After what felt like much more than the few seconds it was, the CEO smiled and asked me to help him understand ‘just what in the hell I was talking about’. I’m talking about the need to view data as more than just a supporting actor in the theatrical play that is your business. Data must go hand-in-hand with every initiative your organization undertakes. There’s some folks out there that argue that you need to build a data-driven culture, but that’s a hard thing to sell to most people and simply because they don’t really understand what a ‘data-driven’ culture is. So…what is a ‘data-driven culture’? If you ask 34 experts on the subject, you’ll get 34 different explanations. I suspect if you ask another 100 experts, you’ll get 100 additional answers. Rather than trying to be a data-driven culture, its much better to integrate the idea of data into every aspect of your culture. Rather than try to create a new culture that nobody really understands (or can define), work on tweaking the culture you have to be one that embraces data and the intelligent use of data. This is what happens when you become start moving toward being a data-informed organization. Rather than using data to provide reasons for the decisions that you make, you need to incorporate data into your decision making process. Data needs to be used by your people (an important point…don’t forget about the people) to make decisions. Data needs to be a part of every activity in the organization and it needs to be available to be used by anyone within the organization. This is where a good data governance / data management system/process comes into play. During my meeting with the CEO, I spent about 2 hours walking through the topics of data and culture. We touched on many different topics in our conversation but always seemed to come back around to him not understanding how his organization isn’t “data-driven”. He truly believed that he was doing the right things that a company needs to do to be ‘data-driven’. I couldn’t argue that he wasn’t doing the right things but I did point out the fact that data was considered as an afterthought in every conversation I had with his leadership team. Since that meeting, the CEO has called me a few times and we’ve talked through some plans for helping bring data to the forefront of his organization. This type of work is quite different than the ‘big data’ work that the CEO had original wanted to talk about. 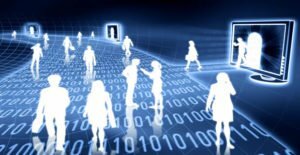 There’s no reason not to continue down the path of implementing the right systems, processes and people to build a great data science team within the company, but to get the most from this work, its best to also take a stab at tweaking your culture to ensure data is embraced and not just tolerated. A culture that embraces data is one that ensures data is available from the CEO down to the most junior of employees. This requires not only cultural change but also systematic changes to ensure you have proper data governance and data management in place. Data science, big data and the whole world that those worlds entail is much more than just something you install and use. Its a shift from a culture focused on making decisions by gut-feel and using data to back that decision up to one that intuitively uses data throughout the decision making process, including starting with data to find new factors to make decisions on. What about your organization? Does data and culture go hand in hand or are you trying to force data into a culture that doesn’t understand or embrace it?